Remove over 70lbs from the very top of your car! The RHR Performance E46 Carbon Fiber Sunroof Delete for the E46 M and non-M allows you to remove the sunroof glass and associated mechanisms. 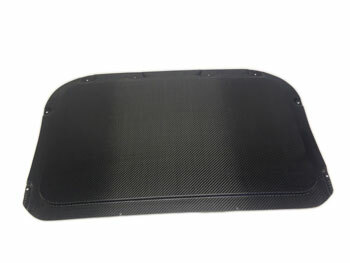 The panels are 100% carbon fiber, making them the lightest sunroof delete on the market at only 1.5lbs!